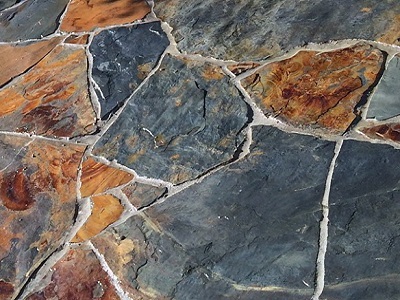 COMPLETELY NATURAL STONE CRAZY PAVING AND STEPPING STONES ARE GREAT FOR PAVING DRIVEWAYS, PATHWAYS, POOL LANDSCAPING OR EVEN AS STONE CLADDING FOR FEATURE WALLS. 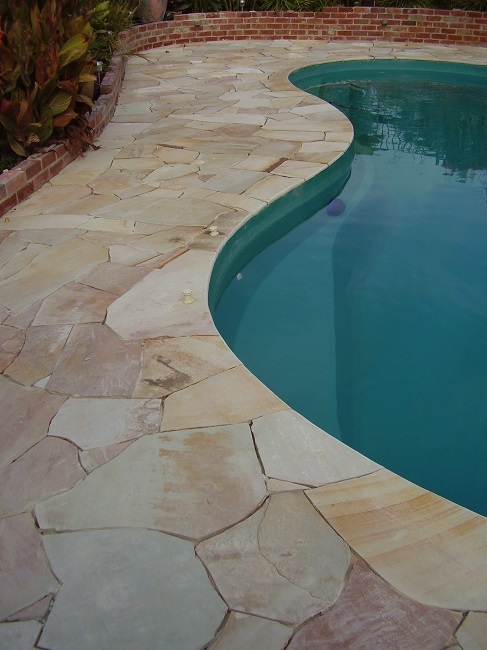 WE CAN EVEN BULLNOSE YOUR CRAZY PAVING POOL EDGE COPING AROUND YOUR POOL AND STEPS IF NEEDED! 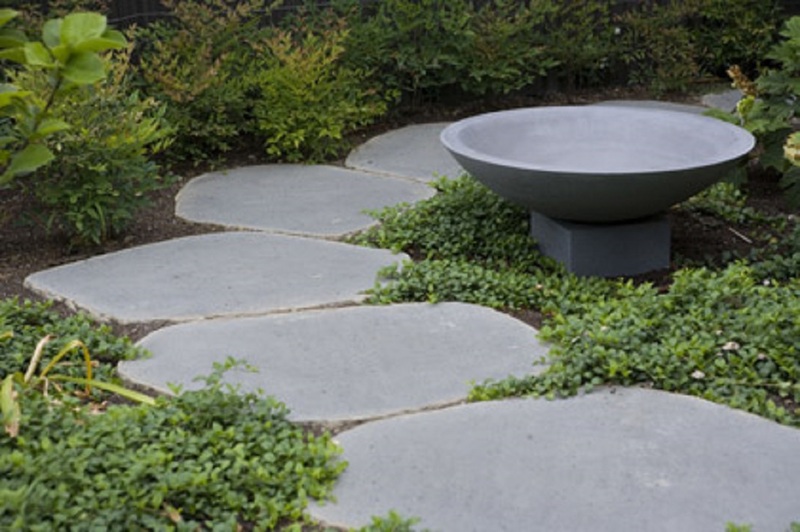 Graphite Grey Stone random paving. 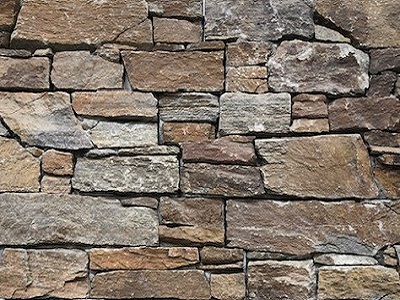 Exceptionally hard and dense random paving stone. 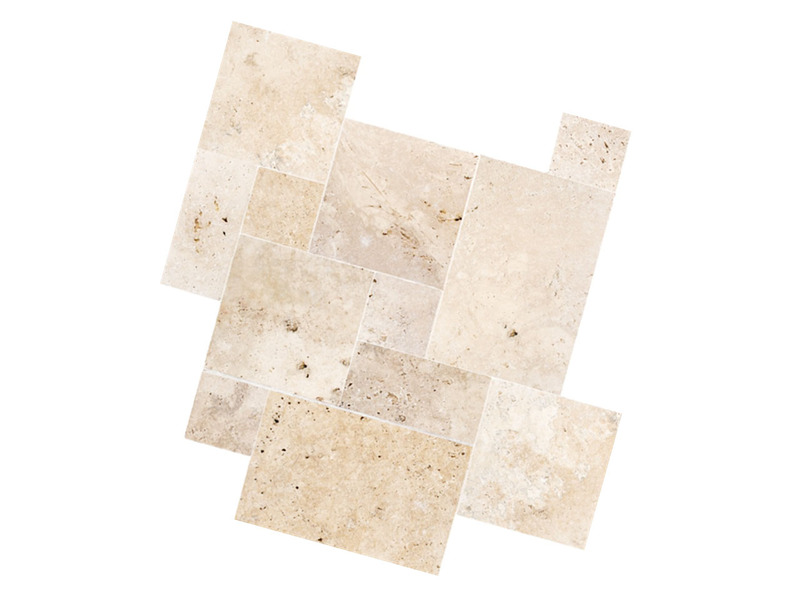 Random Crazy Pave "FLAME." 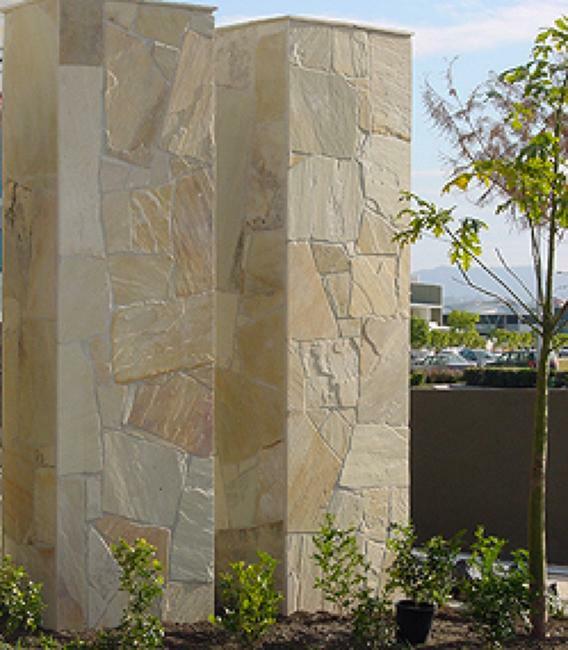 Exceptionally bold and brassy, evoking a burning embers look! 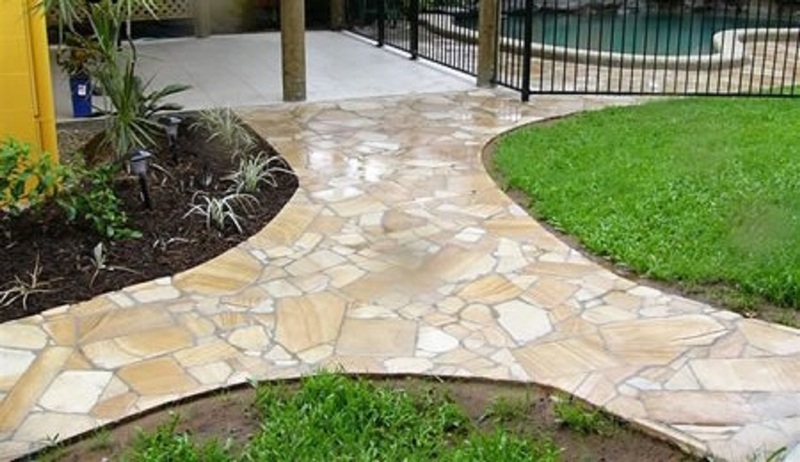 NEW: 15-25mm Light Golden Honey Paving Stone. 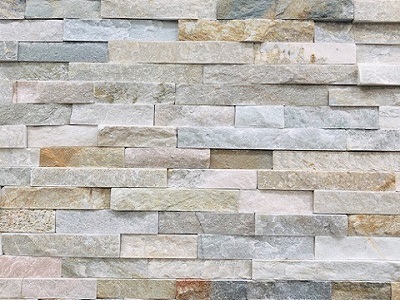 Matching Bullnoses 600x400 also available. 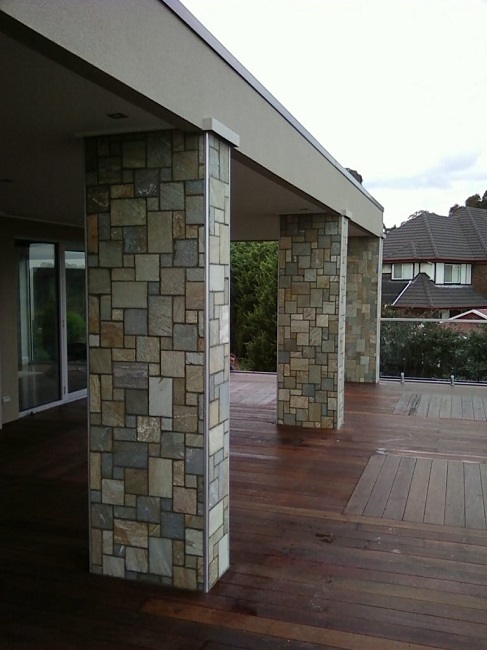 South Australian, Barossa Gold Crazy Paving mounted onto mesh sheeting for EASY installation by the home handyman. 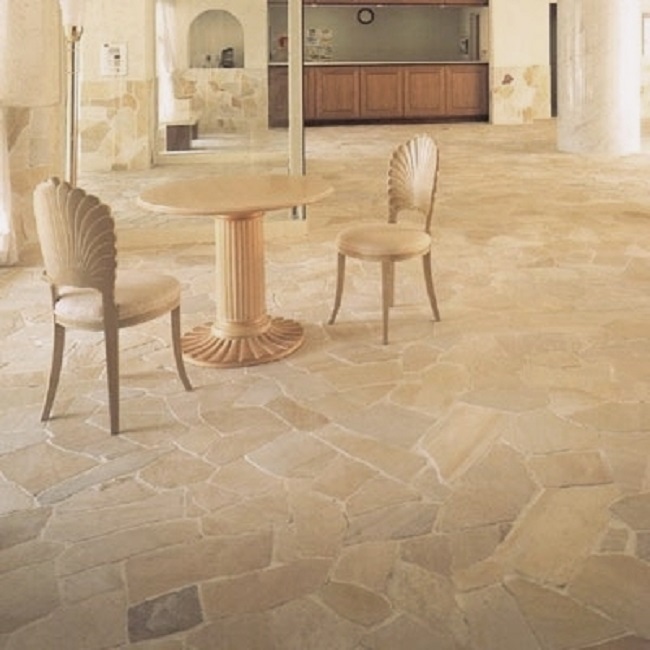 South Australian, Barossa Gold Crazy Pave Light. 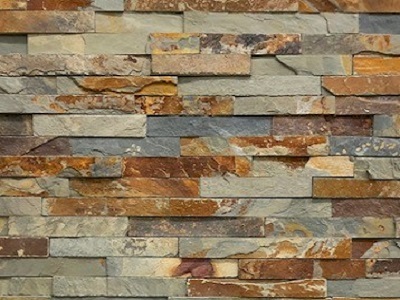 Rustica Kakadu Crazy Paving slate. 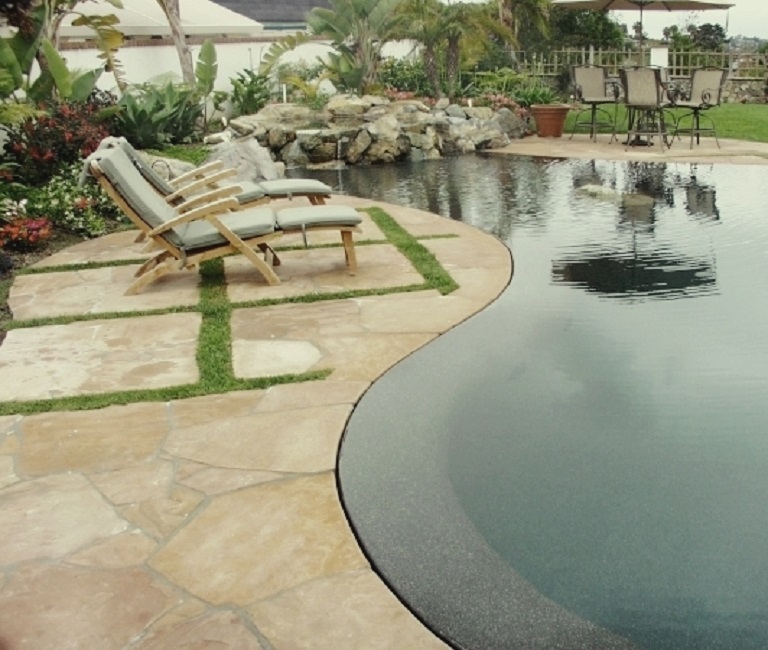 We stock crazy pave stone paving in a pure natural loose form and NOW also crazy paving on mesh for easy installation for you do-it-yourselfers in 4 great colours ( crazy pave on mesh price $49m²). 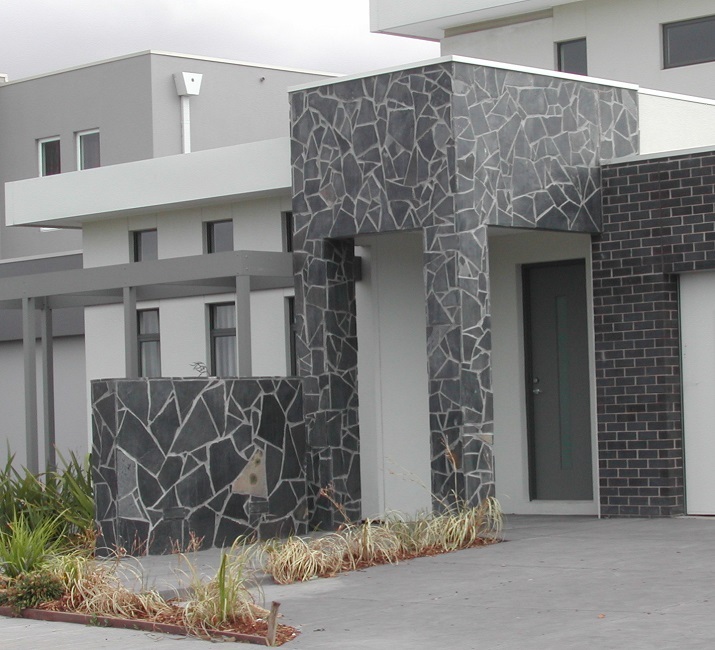 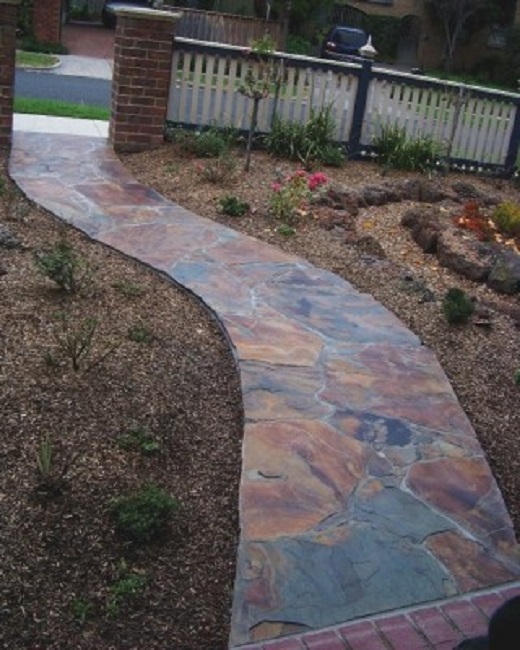 We deliver crazy paving and stepping stones door to door all suburbs in Melbourne, Sydney, Canberra, Brisbane, Adelaide and Hobart. 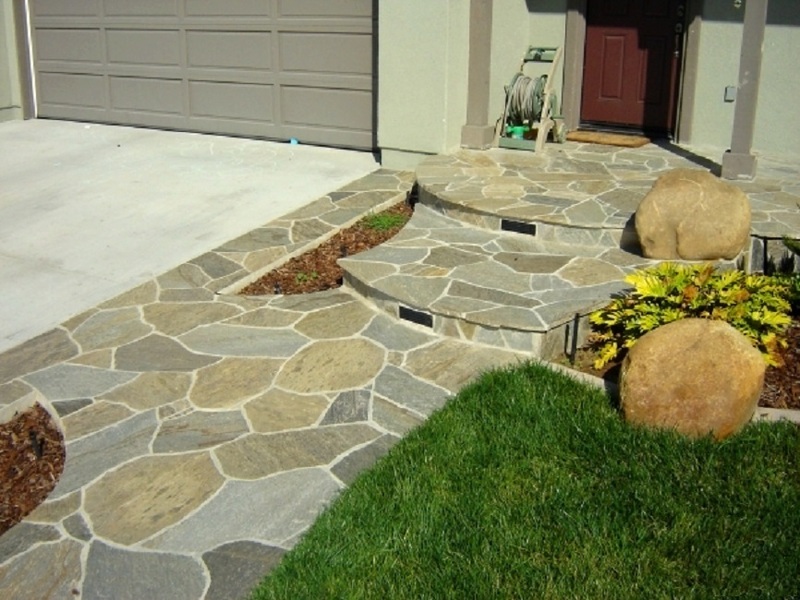 We also deliver crazy pave to ALL country towns in between at reasonable rates. 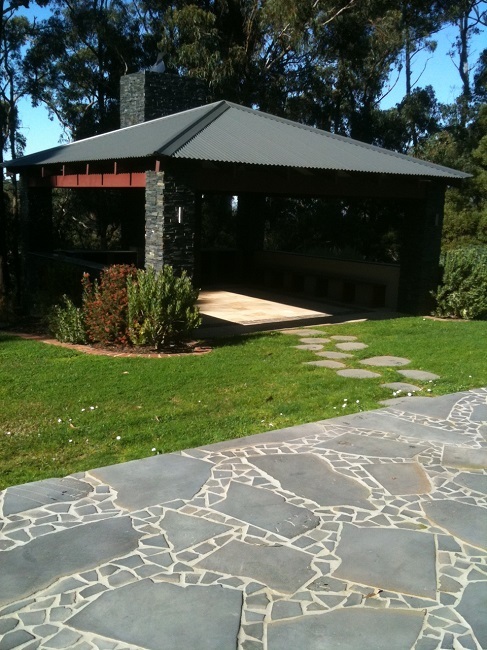 Our crazy paving and stepping stones are sourced from within Australia in South Australia and Victoria mainly. 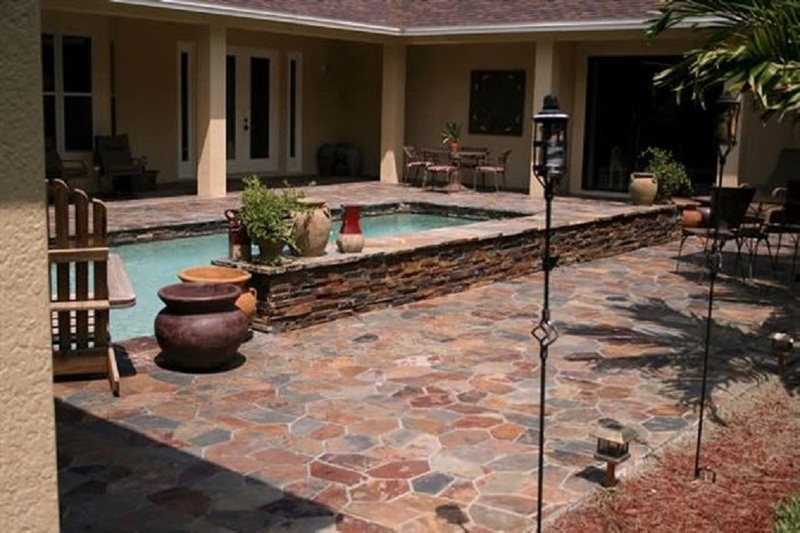 Whilst the crazy pave that is imported is sourced mainly from India, China and Africa. 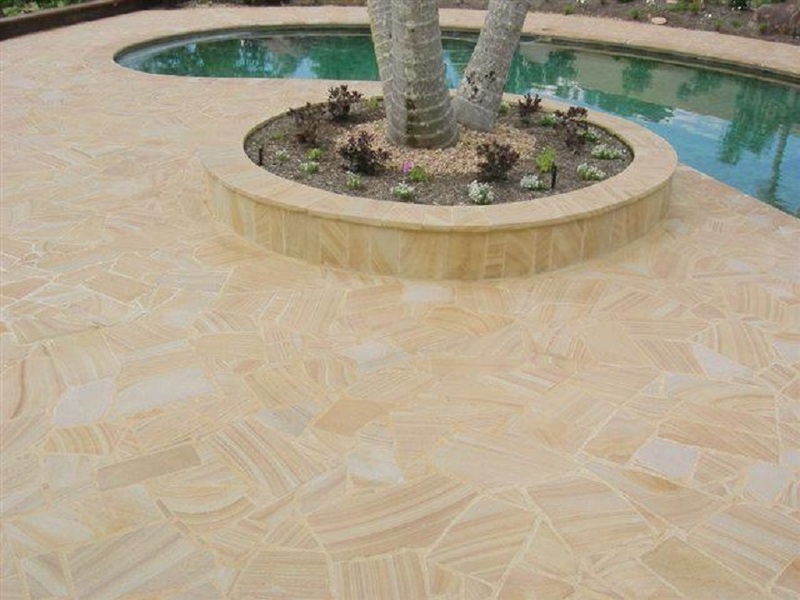 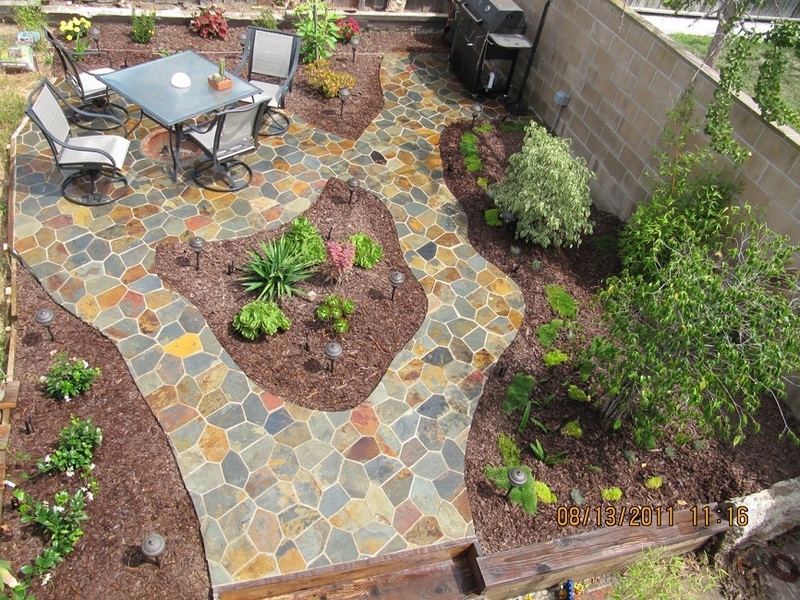 Crazy Paving is mostly used for paving driveways, pool surrounds and garden pathways. 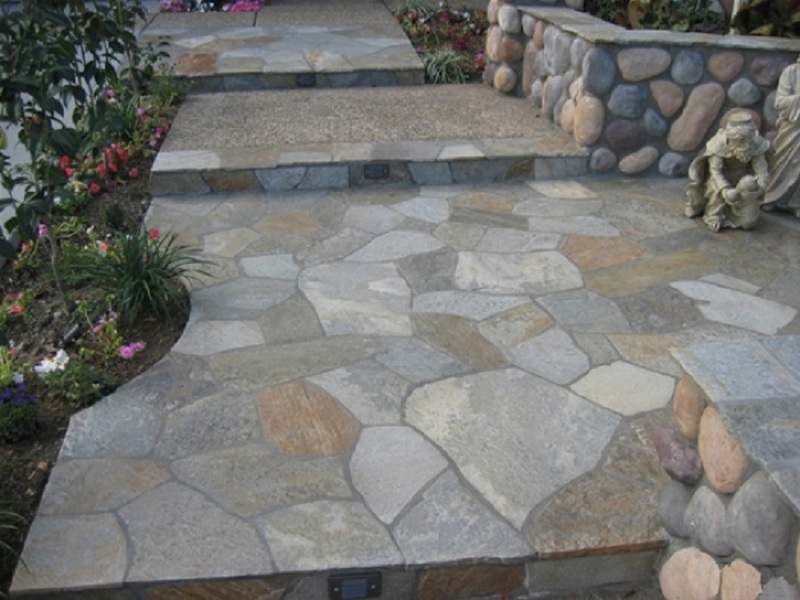 Larger pieces are often used as garden stepping stones or flagstone pavers, as they make great stepping stones surrounded by lawn or pebbles. 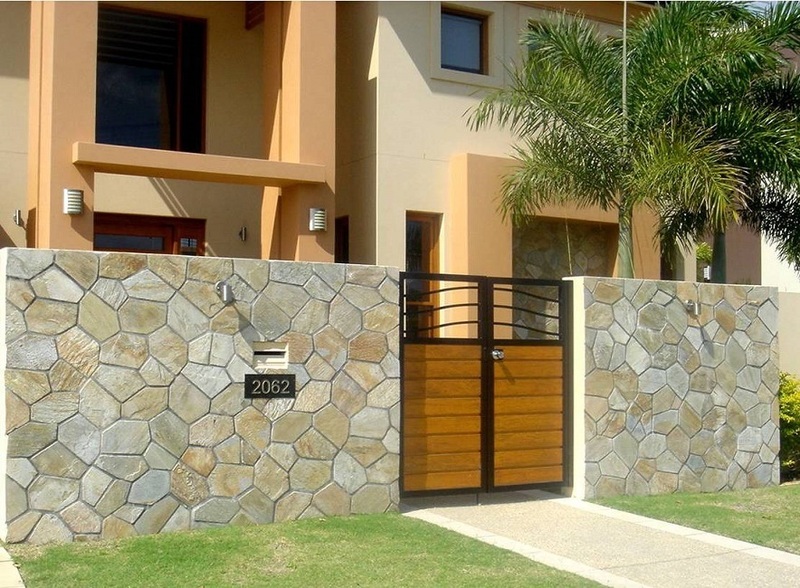 It also looks great on the front facade of your home ie Portico area.